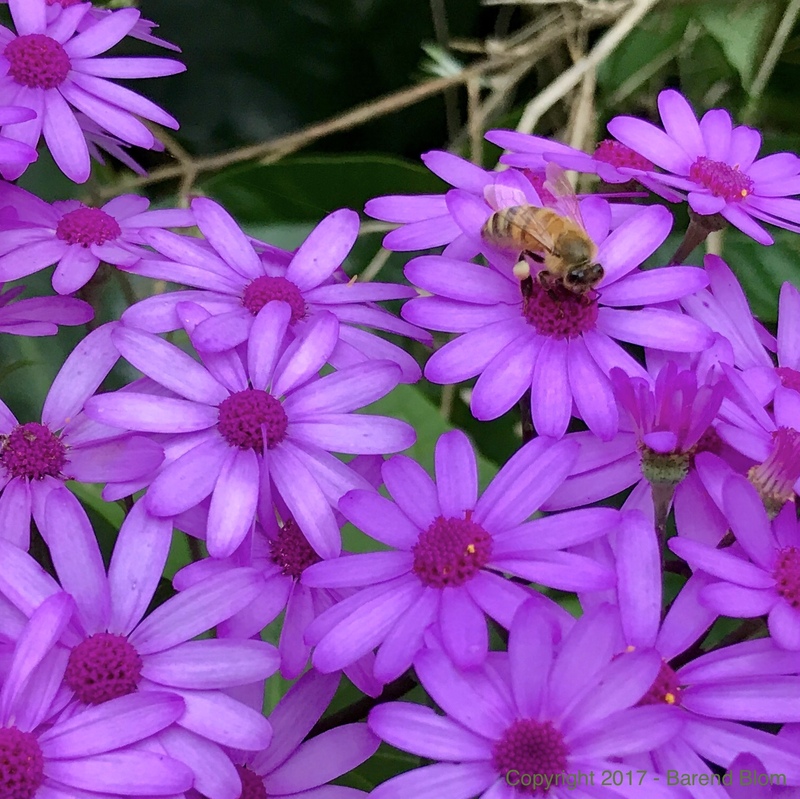 It is time for our annual Working Bee. We want to invite the whole community to come out for our annual Working Bee on Saturday morning, 28 October, any time from 8.00 am onwards. Even an hour or two of your help will be greatly appreciated. We want to promote the value of service to our students and we want to develop the friendship bonds in our school community. What better way than to work together on projects on our school property that will offer us a visible reward for our efforts at the end of the day. 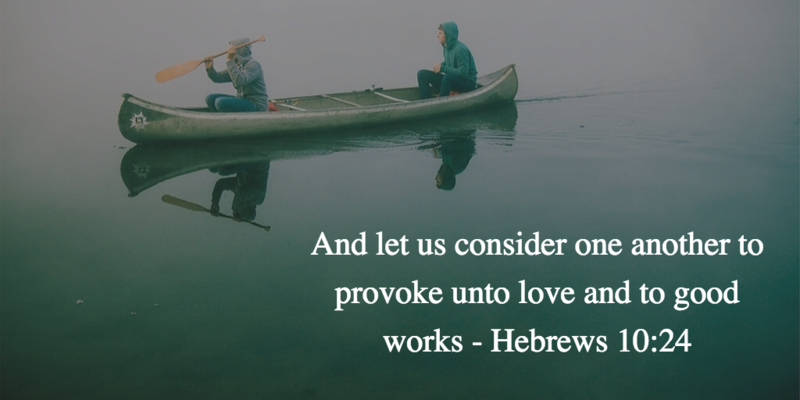 This term we will remind our students regularly that, as bearers of God’s image (Genesis 1:26), they need to “consider one another to provoke unto love and to good works” (Hebrews 10:24). 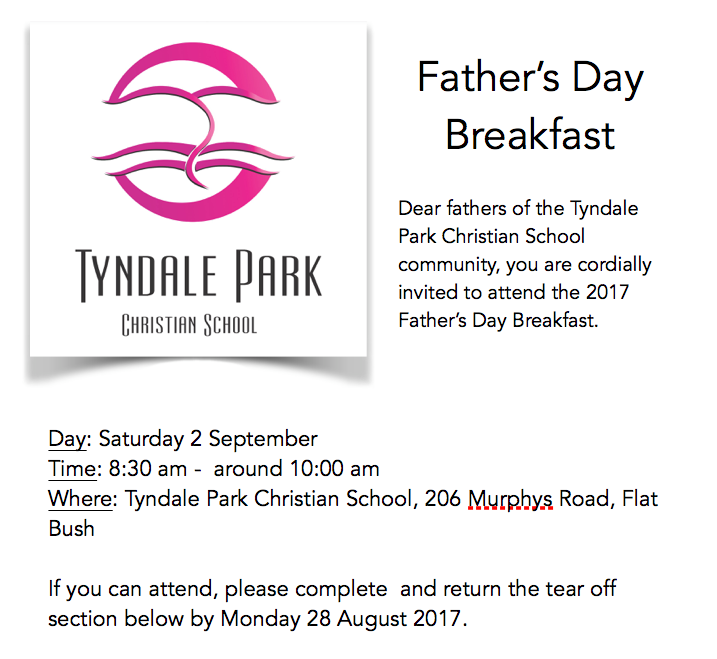 Fathers, you are invited to the 2017 Father's Day Breakfast, next Saturday morning (2 September) 8:30 am, here at Tyndale Park Christian School. Dear Parents, in Ecclesiastes 3 we read “To every thing there is a season, and a time to every purpose under the heaven”. This verse is especially true for two of our staff members who will not be with us in Term 3 and I want to take this opportunity to give a short explanation of the season that each one of them is in.